Compression is a measurement of how dense your golf ball is. Every object has a density and thus a compression value. This compression may range from zero to two hundred and as far as golf balls are concerned, this range starts off from 40 and can go as high as 120. Our focus in this best low compression golf balls review, however, would be on low compression golf balls. In other words, since low compression balls are softer, they are ideal for players who have a low swing speed. Such players can impart more energy to the ball on impact, thus enabling it to travel to a greater distance. There are a number of low compression balls in the market; however, your ultimate choice is determined by your ability level. Moreover, the prices of these balls also vary. You can come across an inexpensive low compression ball that is manufactured with the sole purpose of increasing distance, and on the other hand you may come across expensive versions of this ball as well which not only increase the distance, but also give you a greater sense of control over the game. Players who have a low to average playing ability may opt for a basic two piece low compression ball. These balls generally tend to have lower spin rates and are easily available. Moreover, they are more resilient as compared to compression balls manufactured to cater to the needs of better players. Not only do they last long, but they also cost less. You may be a really good player, but may have a slow swing speed. Thus, a low-compression ball would still be a pretty good choice for you. However, in this case a 3 piece low compression ball would suit you better as compared to a 2 piece one. This ball would generally comprise of a rubber core, an inner cover, which is mostly made from ionomer, and an outer urethane cover. The best low-compression, however, would be the one that gives you the best feel, lasts long, and flies far. This doesn’t necessarily have to be the most expensive one out there. In order to aid you in making this choice, hereby we have made a list of the best low-compression balls out there on the market. These balls are available in a pack of 12. According to the manufacturer’s claim, this ball has great consistency, delivers impressive speed, and gives the player a great feeling. It is a two-piece ball which is encased in an ionomer cover. The best part about HEX Diablo is that it comes with HEX aerodynamics technology. It has a simple dimpled design that enhances the reliability of its trajectory. Moreover, the aerodynamics technology works to decrease wind resistance and thus your shots would be fast as well as long. Its S Tech Core is responsible for great speed, distance, and an incredibly soft feel. With this ball, you wouldn’t also have to worry about scuffing any longer since its high-performance ionomer cover ensures that it bears the brunt of golf course just like any other tour ball out there. Almost all of the customers have given this ball a five star rating and have asserted that this low compression ball from Callaway is a distance ball in the first place. The aerodynamic technology reduces drag by maximizing speed. It is also a very durable ball which lasts longer and cannot be easily cut or damaged. These balls also come in a pack of 12 and cost around $15.95. This ball with its incredible soft low-compression core and soft outer cover can yield impressive distance. Moreover, it also gives greater control to players having a slow swing speed on their short game. The Power Distance Golf ball can give you powerful distance conjugated with an amazing feel owing to its super combination of ionomer cover and soft core. Moreover, its dimple pattern is responsible for its enhanced aerodynamics which enables it to cover an even greater distance in the air. 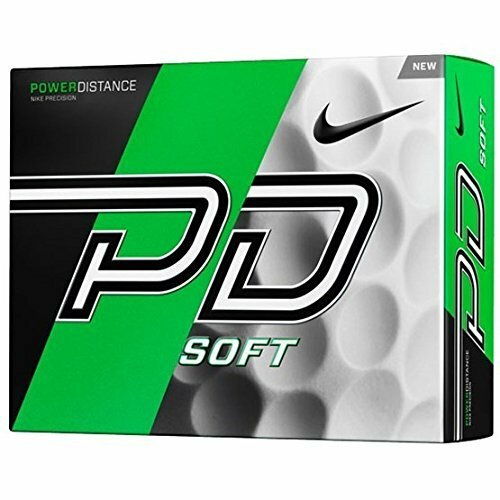 Most of the users gave Nike Power Distance Soft Golf Ball a five star rating whereas some gave it a four star one. Most of the customers agreed that the product was great for its price. They were said to yield good yardage with all clubs as well and gave a good feel around the greens. Some went so far as to suggest that Callaway and Titleist need to be wary of this amazing ball considering the great speed and distance that it offers. These premium low compression golf balls by Titleist come in a pack of 12 which costs around $33.95. They are yellow in color and claim many extraordinary features to their name. 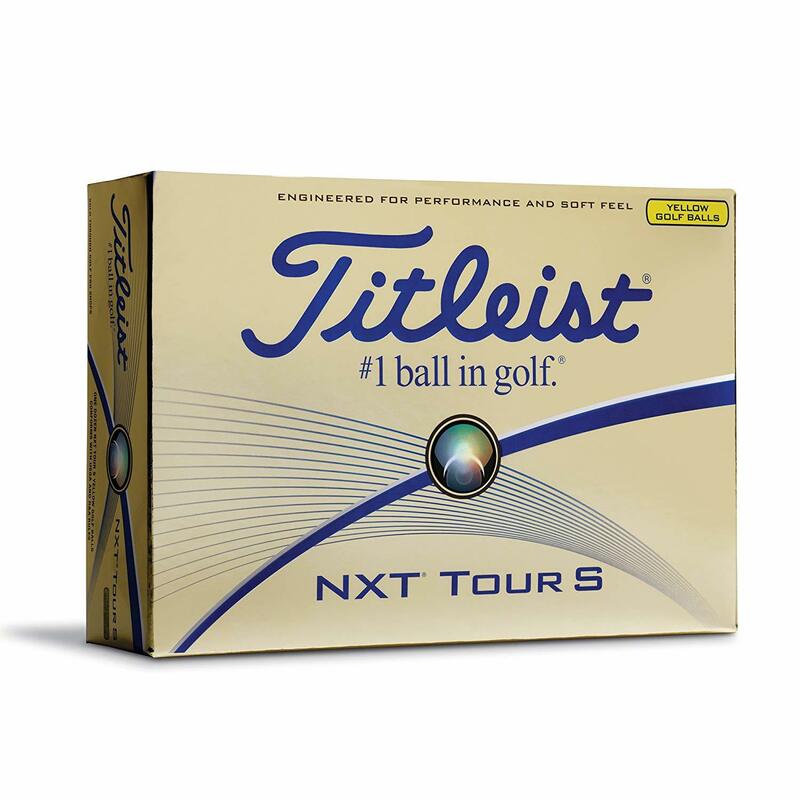 As the name itself suggests, these balls are expected to yield a performance befitting a NXT tour, however, with a comparatively softer compression. Although, the core has a soft compression, but it is highly resilient. Its outer cover is a soft Fuseblend. This core and its incredible octahedral dimple design serve to increase both its speed and distance. Furthermore, they can also be found in white color along with an optic yellow. Owing to the outstanding performance of this ball, it had an undisputed five star rating. All the customers agreed that its consistency, speed, distance, and soft feel are incredible. Most customers blatantly asserted that this was easily the best and the most incredible ball they had ever played with. This pack of 12 Wilson balls costs around $19.95. The distance offered by it as well as its enhanced soft feel is great. Moreover, its exterior design also serves to enhance its visibility. The product is extremely well designed. As a matter of fact, every inch of it buttresses is a fact that it would yield exciting velocity. This 2 piece construction can traverse great stretches of distance yet still maintain its fantastic soft feel. Its bright and luminous ionomer cover comes with a 302 dimple pattern that reduces drag and fights against the resistance offered by wind. Underneath this impressive cover lies the low compression core made of rubber which transfers energy efficiently upon impact. These parts combine to produce a golf ball that is really soft, almost 25% softer, however, it still manages to cover a great distance. Moreover, the spin is also lower, so you know that you would be getting great distance right from the very beginning of your shots. This ball received a mix of three star and five star ratings. 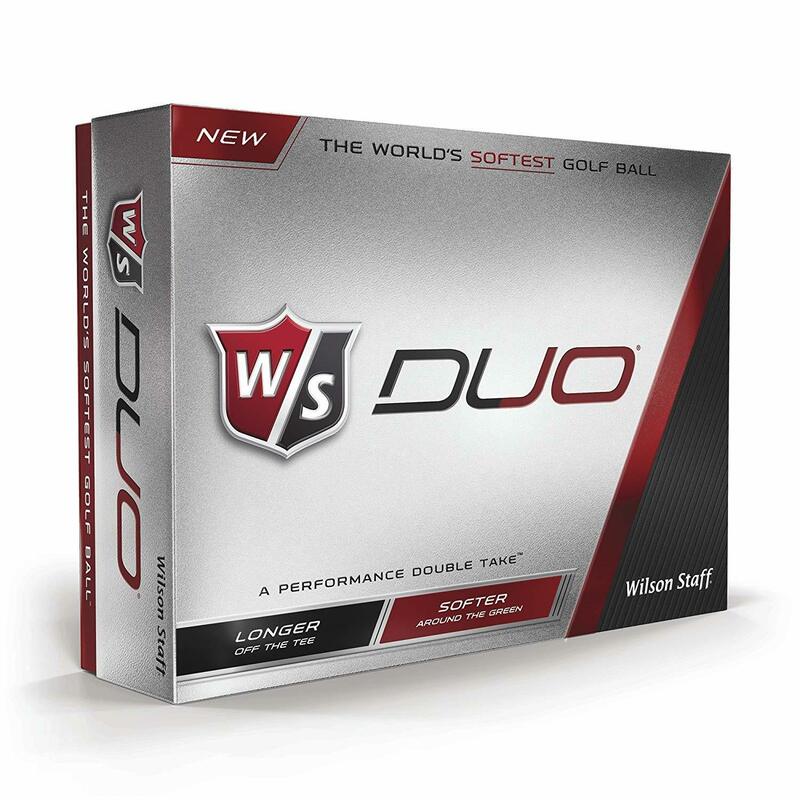 Many customers asserted that Wilson Duo was exactly as described and did everything that it claimed to do. For most of them it was the softest ball they had ever played with. The option of personalization offered by the company served as an additional attraction. This pack of 12 pink golf balls comes at a price of $19.95. 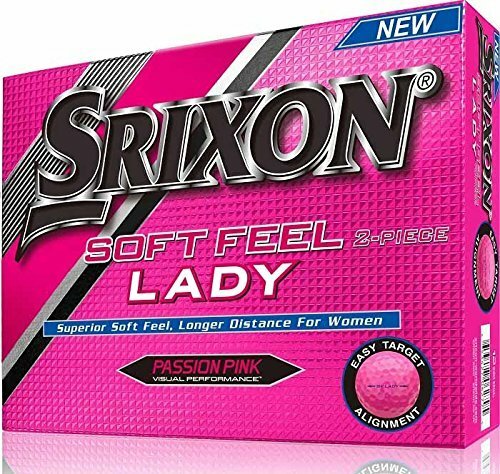 Srixon Soft Feel Lady Passion Pink Golf Balls are the best choice out there for lady golfers. Not only do they yield a greater distance, but they also provide a better feel. Moreover, the trajectory of your shots is also improved. The external design and the soft compression core complement each other perfectly well. Thus, the ball’s flight is long, fast, and high as it flaunts your pink passion all along the way. For golfers having a swing speed ranging from 50 to 70 mph, these golf balls are perfect since they have a super soft 71 compression core. This low compression makes it possible for your ball to stay straight and fly high no matter how high your handicap may be. Moreover, Srixon golf ball deploys Energetic Gradient Growth Technology which endows the ball with an optimum flight since energy transfer at the club’s impact with the ball is incredibly strong. Moreover, its pretty pink color not only makes it attractive to play with, but it also goes a long way in improving your playing time since the visibility is heightened a great deal and you wouldn’t have to waste time searching for it in the long grass. Furthermore, the ball also has alignment aids printed on it so that hitting that perfect spot positively becomes a piece of cake. The compression core has an external ionomer layer to cover it. This Rabalon HR & Pana-Tetra blended ionomer outer cover would make sure that your ball has an aligned flight and can cover maximum distance. When this ionomer outer layer is added with the ball’s dimple design Soft Feel Lady Passion Pink, it becomes one of the favorite balls of players with slow swing speeds. The average rating received by Srixon pink passion ball is 5 out 5. Almost all customers agree that this ball is both reliable and professional. This pack of 12 white golf balls comes at a price of around $26.95. It is an extremely soft multi-layered ball and very few balls of the like kind can be found on the market today. It is specially designed in such a manner that it results in increased spin. Each layer of this 3 piece ball serves to provide enhanced control during the short game. Its 35 compression rubber core serves to maximize distance while at the same time endowing it with a soft feel. Its inner layer comprised of DuPont HPF yields impeccable velocity and helps in maximizing yardage. Moreover, the outer ionomer layer produces a shot-stopping spin which goes a long way in helping the approach shots. This ball has an average rating of 4.5 out of 5. 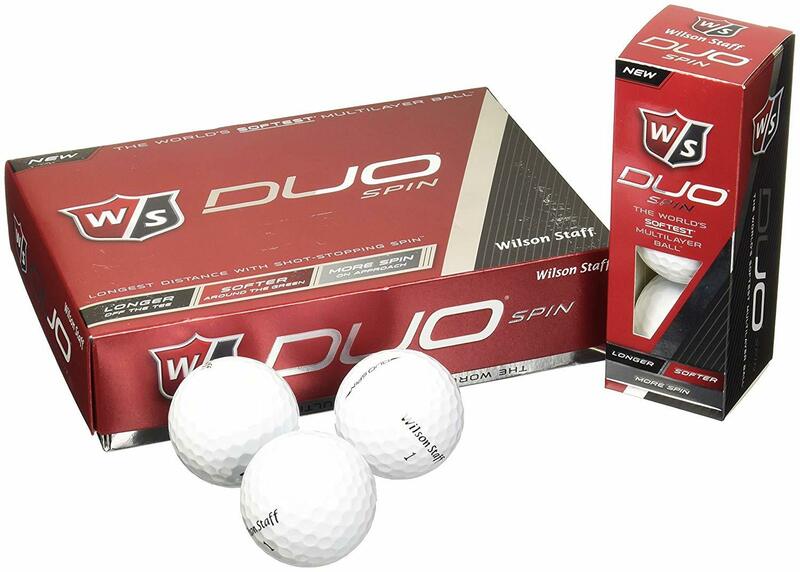 Almost all the customers expressed their satisfaction with Wilson Duo spin golf balls. They asserted that the ball felt wonderful coming off the club face. It not only yielded an incredible distance, but was also pretty soft on the impact. It was also wonderful around the greens. This pack of 12 golf balls costs around $10.95. 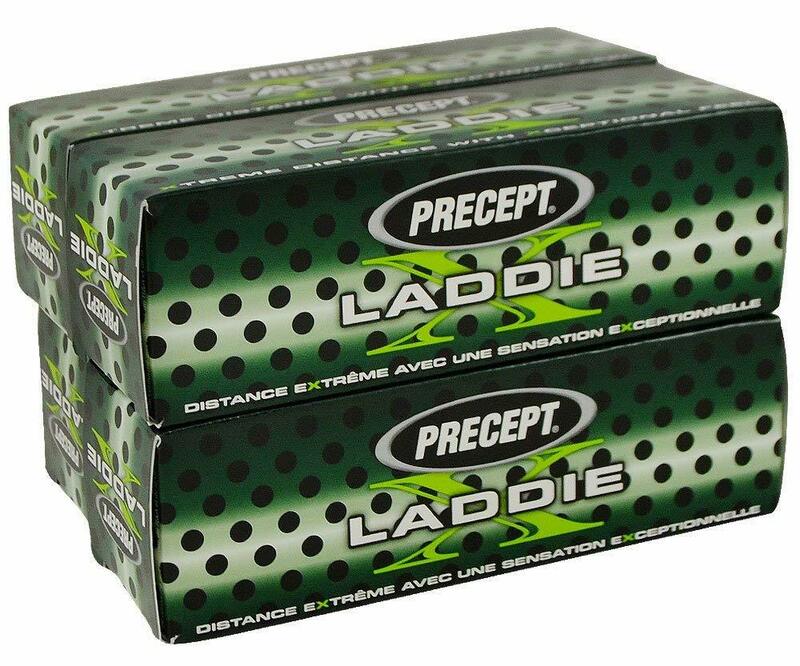 Precept Laddie X Golf Balls go a long way in lowering your spin and raising your launch so that you end up with a greater distance. The trajectory produced by these 2 piece balls as well as the distance generated by them is capable of taking your shots far off into the fairway. These traits are super added with an enhanced compression core, an aerodynamic dimple design, and a supple external ionomer cover. This ball has an average rating of 4.5 out of 5. Considering the economical price of this ball, many customers were satisfied with the features offered by it. It did not essentially provide a very soft feel around the green, but it is definitely a great distance ball. It also produces an exciting velocity conjugated with lower spin. 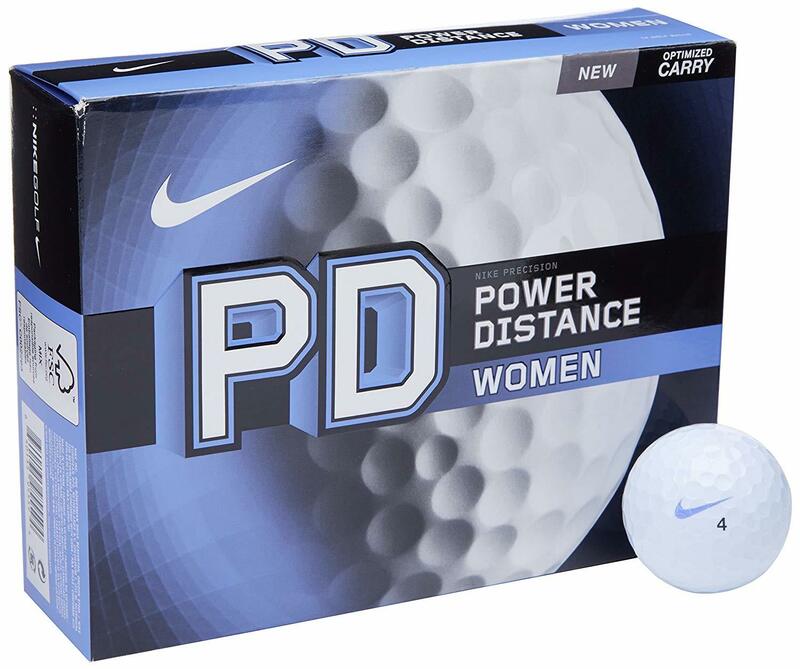 Nike Power Distance Women Golf Balls come in a pack of 12 and cost around $15.95. These power distance balls are designed with a super soft, low compression core superadded with a soft cover along with a 314 dimple design. All these traits combine to make sure that every shot ends up far into the fairway. These balls also tend to be flexible and can cater to a pretty vast range of swing speeds. Moreover, its 314 dimple design serves to improve the ball’s aerodynamics so that the shots are lifted and are launched higher. This pack of 12 pink golf balls comes at a price of $29.95. This soft and low compression ball comes with a 3 piece construction, 350 dimple design, and 80 compression core. It can carry off the ball to a greater distance and is much more consistent. These balls are sophisticated and powerfully engineered with an aim of epitomizing women golfer’s gaming experience. The patented Bismuth Dual Core technology works in the back drop to enhance the experience of playing with this golf ball. Since its innovative technology caters to a wide range of swing speeds therefore beginners and amateur golfers can move in stride. Furthermore, its improved 350 octahedral dimple design improves its aerodynamics which in turn improves the playing experience. The best part is that the materials deployed in the manufacture of this ball are all flexible and lightweight particularly the Bismuth core. This flexibility and lightness implies that players would make more accurate shots and would have more control on these shots. 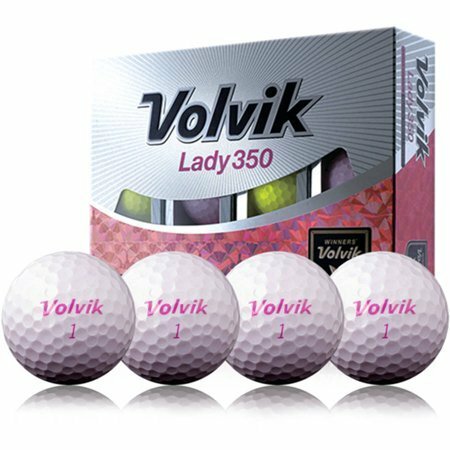 Volvik Lady Pink Golf Balls have an average rating of 4.5 out of 5. The users claimed that this ball provided solid distance along with giving a great feel around the greens. It has been specifically manufactured by keeping women’s game in the forefront. Thus it is more consistent during a ball flight and can cater to swing speeds varying from 60 to 90 mph. 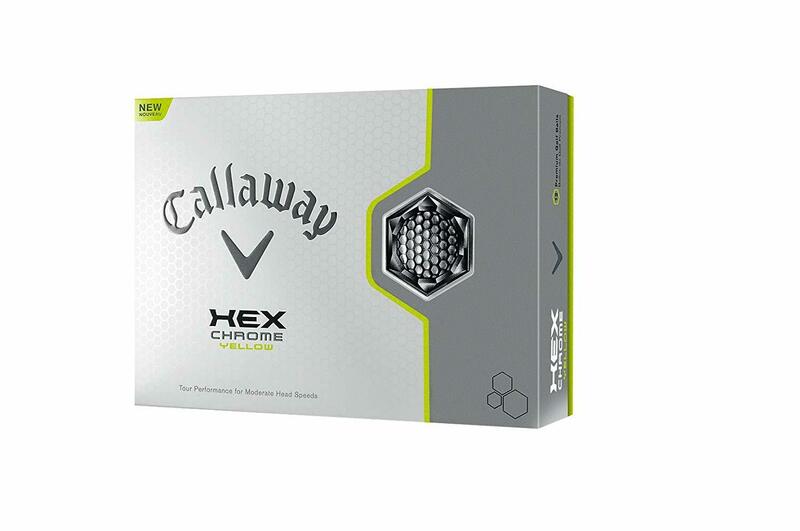 A pack of 12 Callaway HEX Chrome yellow balls costs around $29.99. This 3 piece construction is engineered to deliver premium level performance. Its HEX aerodynamics technology makes it possible for the ball to penetrate greater distance. It also paves the way for a stable ball flight by reducing drag. Moreover, its optic yellow color heightens the ball’s visibility. The average rating of Callaway Golf HEX Chrome Yellow Golf Balls is 5 out of 5. 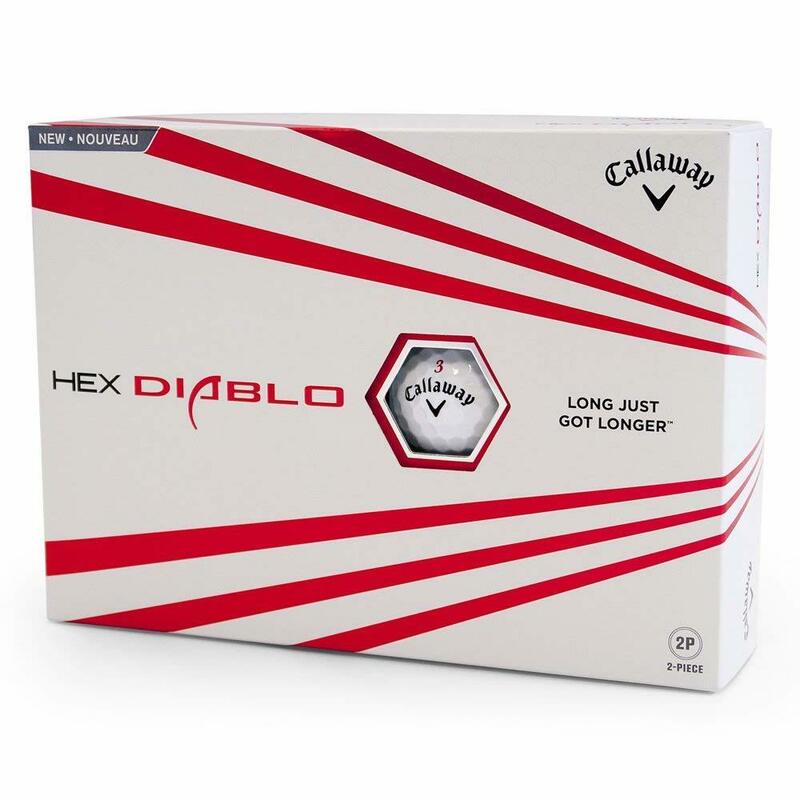 Customers have asserted that this ball is perfect for players with slow swing speeds having a high handicap who still want to experience the perks and performance of a tour level ball. Overall we observed that the best low compression balls on the market had compressions ranging from 40 (though one ball had a compression as low as 40) to 90. You can come across both two piece and three piece constructions. Generally all balls have an external ionomer cover and deploy aerodynamics technology. Furthermore, dimple design patterns are almost similar in all the balls and lie in the range of 300. Good luck with finding the ball that will help advance your game!